Professional tree pruner and pole saw with a strong fiberglass telescoping pole. Easily adjustable to any length between 6' & 12'. Cut limbs up to 1 1/8" with pull rope lopper. 16" needle saw blade for larger branches with deep set saw teeth that cut on the pull stroke. 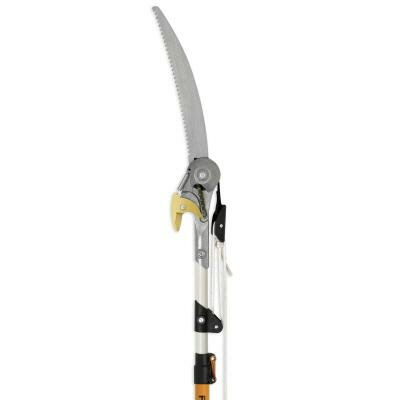 * Please call us for any questions on our pruner polesaw 6 foot 12 foot rentals in Portland OR, Gresham OR, Milwaukee OR, and surrounding metro area.